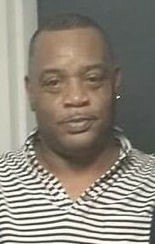 James Williams was 55 when he passed away at home in North Charleston on Monday, March 19, 2018. James was born November 26, 1962, to parents Nathaniel Williams and Marie Shelton. James was a Lifelong resident of Charleston, and graduated from Charleston High School. He worked at Bert Wolfe Ford and Charleston Lincoln Mercury for a total of 14 years. James love singing and just making people smile. He is survived by his Wife Monica Williams, Mother Marie Shelton of California and his children; Tawana Williams of Virginia, Joshua Lawton (Davon Bennett) of Charleston, James R. Williams (Rachel Patterson) of Charleston, La’stacia Williams of Charleston, James West (Brianna Bailey) of Charleston. His Grandchildren; NaMareon Hunter of Virginia, Antonio Napper of Virginia, Tyleah Napper of Virginia, Adin Napper of Virginia, Jamya Brown of Charleston, Jaleah Lawton of Charleston. His Brothers and Sisters; John and Tracy Owens of California, Delores Ann and Fred Baylor of California, Joey and America Williams of California, Nathan and Terri Williams of Charleston, Betty Owens of Cleveland, OH. Also surviving is a host of nieces, Nephews and friends.